140g of hand made luxury truffles, displayed in a stunning 2 part hard box with gold embossing and union jack inside. Part of a beatiful set of 4 flavours including Champagne, Pink Champagne, Prosecco and Salted Caramel. 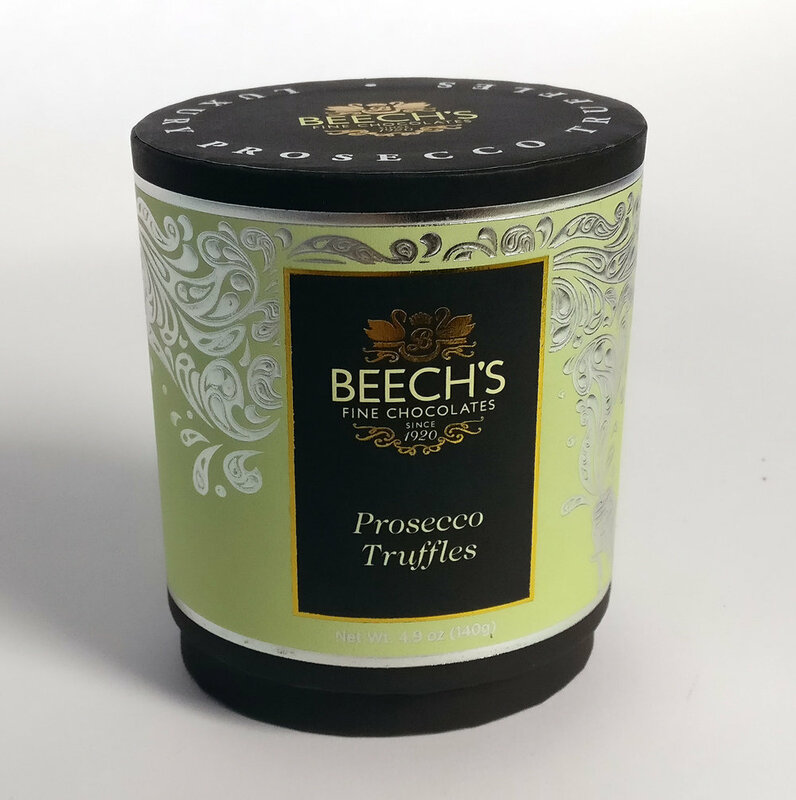 Our truffles are made with real Prosecco mixed into a hand made creamy chocolate centre and coated in the finest smoothest milk chocolate. Finally each truffle is lightly dusted in icing sugar! These fantastic truffles make perfect gifts for any chocolate connoisseur.